Before she moved to tiny Murfreesboro, North Carolina, Leeta Harding photographed movie stars and high fashion in NYC. In the South, her photographs took on the weight of history in a way she never expected. For two decades, Leeta Harding photographed movie stars, musicians, and high fashion in New York City. Then, a cancer diagnosis changed the path of her life forever and brought her to tiny Murfreesboro, North Carolina. There, her photographs took on the weight of history in a way she never expected. Leeta Harding had everything going for her before she ever thought about moving to the South. A native of Vancouver Island, British Columbia, she moved to New York City at age 22 to study photography and quickly gained fame for her iconic portraits of stars like Scarlett Johansson and Patricia Arquette for magazines such as Harper’s Bazaar, Spin, and New York. “In 2003, I was diagnosed with cervical cancer and survived a near-death experience in the hospital,” Harding says. She beat the disease, but it changed her. It will come as no surprise to Southerners she found that purpose down here, with us. The town where she found it was little Murfreesboro, North Carolina, on the Meherrin River in the northeastern part of the state, near the Virginia border. The journey that landed her in Murfreesboro began in 2008. When Harding and Thomas had just finished one of those road trips in 2009, they were invited to the wedding of a friend in Nashville, Tennessee. On the way back to New York City, they stopped in Seaboard, North Carolina, a town about 20 miles west of Murfreesboro, to visit Thomas’s cousin, William. That’s where they found the house that would become their home for the next seven years — and that would take her photography to a much deeper level than the next season’s fashion collections. The Myrick Plantation, Como, North Carolina, 2013. The house Harding and Thomas bought was built in the 1870s for David Alexander Barnes, a member of North Carolina’s House of Commons and a Superior Court judge. Of course, it didn’t take too long for them to make new friends in Murfreesboro. Bunn's Bar-B-Q, North King Street, Windsor, North Carolina, 2017. Between Virginia and North Carolina state line, 2014. In the beginning, Harding kept her attention on their renovation of the historic house. But a happenstance discovery of a dilapidated plantation house called Myrick Plantation inspired Harding to pick up her camera again. Hertford County, where Murfreesboro sits, is contradictory in a uniquely Southern way. The old plantation houses that caught Harding’s eye were there because the region — situated upriver from the Albemarle Sound — was once a hotbed of trade in the plantation economy. One particularly large blot on the county’s history is its decision to send armed men to Virginia to help beat back the 1831 slave rebellion led by Nat Turner. But today, 60 percent of the county’s population is African-American, according to the U.S. Census Bureau, and about 36 percent is white. The Hertford County Commission is integrated and led by an African-American chairman. Harding never intended her re-entry into photography to take on political or racial overtones, but when she began her search for models to photograph in plantation houses, most of the local women she found were African-American. The first model she recruited was Shae Lock. Silhouette of Shae Lock, the D.A. Barnes House, Murfreesboro, North Carolina, 2013. Freedom, Myrick Plantation, 2014, Como, North Carolina. Harding recruited others in the community and began building a collection of images. 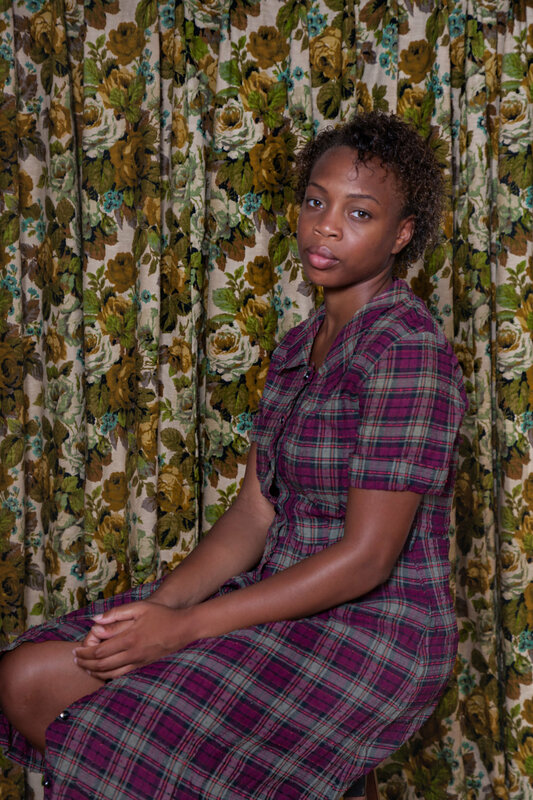 The resulting photographs — of these women in 1950s and ’60s vintage clothing, on the grounds of plantations where their ancestors were enslaved — took on deeper meaning that Harding had anticipated. Shae, Dotted Swiss dress, Myrick Plantation, 2013. Erica, handmade dress, Church Street, Conway, North Carolina, 2013. The four primary models for the project were Lock, Asia Romero, Ny’Azia Swain, and Taylor Little. An exhibition of the photographs was mounted at Chowan University in Murfreesboro in 2016. The show marked Harding’s first return to Murfreesboro after deciding, in 2015, to return to the New York area with her son, Tate, who was born during her time in North Carolina. The photographs pointedly ask the same question as they also explore the contradictory nature of the South and its history. Last year, Harding finally got back into the fashion photography game when the designer Angela Missoni asked her to photograph Missoni’s line of dresses for the SS18 collection. Of course, Harding could have easily found models in New York, but instead, she reached out to three of her North Carolina models — Romano, Swain, and Little — and made the photographs in Hertford County. And in the process, the three young women of Hertford County earned their first paychecks as professional fashion models. Erica, Blue prom dress, Main Street, Conway, North Carolina, 2013. Myrick Plantation, 2017, Como, North Carolina. 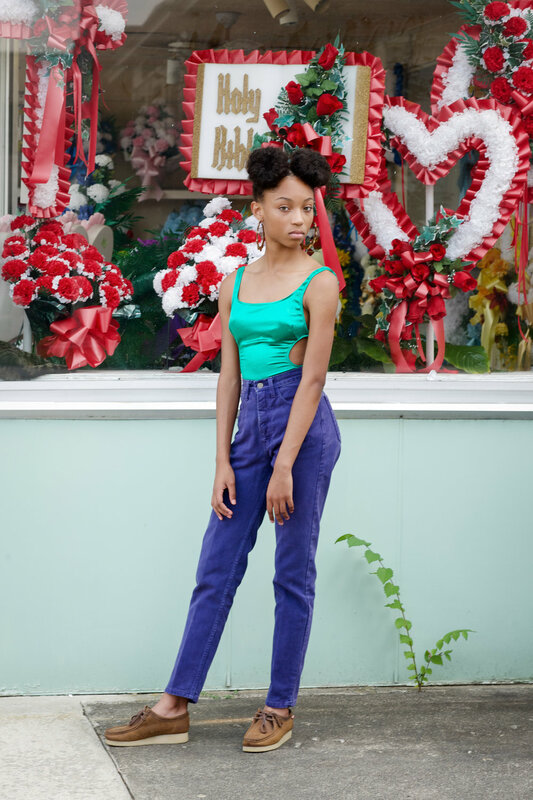 Ny’Azia Swain, Winton, North Carolina, 2014: "I fall, I rise, I make mistakes. I live, I learn, I’ve been hurt. I may bend a little, but I’ll never break. I’m human, but I’m not perfect. And I’m thankful for everything. I’m humble, but I’ll never forget my worth." Asia Romero, Black Cocktail Dress, Smith Farmhouse, Milwaukee, North Carolina, 2013. Green sateen, Guess Jeans and the Holy Bible, Ahoskie, North Carolina, 2014. Danielle Sunnie, Parlor Portrait, D.A. Barnes House, Murfreesboro, North Carolina, 2014. Ny'Azja, Smith Farmhouse, Milwaukee, North Carolina, 2013. Asia and Taylor in Missoni's SS18 line. Como, North Carolina. Asia Romero, Taylor Little, and Ny'Azja Swain in the Missoni campaign, Conway, North Carolina.